In a systemic review and meta-analysis of the randomised trial conducted by Dr. Sadeghirad B and associates, it has been found that single low doses corticosteroids can resolve pain in patients with a sore throat, with no risk for additional serious side effects.The study has been published in BMJ. Researchers had their data source from Medline, Embase, Cochrane Central Register of Controlled Trials (CENTRAL) and in all 10 RCTs including 1426 individuals were identified through a literature search. 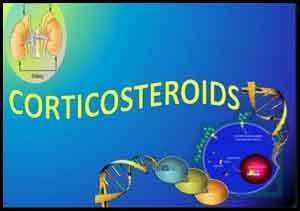 They ventured to evaluate the benefits and harms of using corticosteroids as an adjunct treatment for a sore throat.Reviewers identified studies, extracted data, and assessed the quality of the evidence, independently and in duplicate. A parallel guideline committee provided input on the design and interpretation of the systematic review, including the selection of outcomes important to patients.The Quality of evidence was assessed with the GRADE approach. It was found that Patients who received single low dose corticosteroids (the most common intervention was oral dexamethasone with a maximum dose of 10 mg) were twice as likely to experience pain relief after 24 hours and 1.5 times more likely to have no pain at 48 hours. The mean time to onset of pain relief in patients treated with corticosteroids was 4.8 hours earlier and the mean time to complete resolution of pain was 11.1 hours earlier than in those treated with placebo. Adverse events were similar in both the groups. The authors concluded that single low dose corticosteroids can provide pain relief in patients with a sore throat, with no increase in serious adverse effects. Included trials did not assess the potential risks of larger cumulative doses in patients with recurrent episodes of an acute sore throat.In other words in patients with acute sore throat, there is primarily moderate to high quality evidence that one or two low doses of corticosteroids reduces the intensity and duration of pain—pain scores at 24 hours, complete resolution of pain at 24 and at 48 hours, time to onset of pain relief, and time to complete pain relief.